First known as a railroad station stop, after the Land Run of 1889, Guthrie immediately gained 10,000 new residents who began to develop the town. It was rapidly improved and was designated as the territorial capital, and in 1907 as the first state capital of Oklahoma. In 1910 state voters chose the larger Oklahoma City as the new capital in a special election. Guthrie is nationally significant for its collection of late 19th and early 20th century commercial architecture. The Guthrie Historic District includes more than 2,000 buildings and is designated as a National Historic Landmark. Historic tourism is important to the city, and its Victorian architecture provides a backdrop for Wild West and territorial-style entertainment, carriage tours, replica trolley cars, specialty shops, and art galleries. Guthrie was established in 1887 as a railroad station called Deer Creek on the Southern Kansas Railway (later acquired by the Atchison, Topeka and Santa Fe Railway) running from the Kansas–Oklahoma border to Purcell. The name was later changed to Guthrie, named for jurist John Guthrie of Topeka, Kansas. A post office was established on April 4, 1889. In 1889 some fifty thousand potential settlers gathered at the edges of the Unassigned Lands in hopes of staking a claim to a plot. At noon on April 22, 1889, cannons resounded at a 2-million acre (8,100 km²) section of Indian Territory, launching president Benjamin Harrison's "Hoss Race" or Land Run of 1889. People ran for both farmlands and towns. During the next six hours, about 10,000 people settled in what became the capital of the new Territory of Oklahoma. Within months, Guthrie was developed as a modern brick and stone "Queen of the Prairie" with municipal water, electricity, a mass transit system, and underground parking garages for horses and carriages. Hobart Johnstone Whitley, also known as HJ and the 'Father of Hollywood,' was the first president of the Guthrie Chamber of Commerce. Whitley built the first brick block building in the territory for his National Loan & Trust Company. He was asked by the local people to be the first Governor of Oklahoma. Whitley traveled to Washington, D.C. where he persuaded the U.S. Congress to allow Guthrie to be the new capital of the future state of Oklahoma. This was specified in the 1906 Oklahoma Enabling Act, which established certain requirements for the new state constitution. 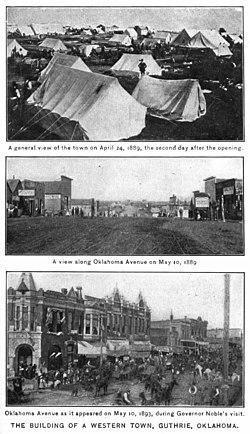 By 1907, when Guthrie became the state capital, it looked like a well-established Eastern city. Guthrie prospered as the administrative center of the territory, but it was eclipsed in economic influence by Oklahoma City early in the 20th century. Oklahoma City had become a major junction for several railroads and had also attracted a major industry in the form of meat packing. Oklahoma City business leaders began campaigning soon after statehood to make Oklahoma City the new state capital, and in 1910 a special election was held to determine the location of the state capital. 96,488 votes were cast for Oklahoma City; 31,031 for Guthrie; and 8,382 for Shawnee. Governor Charles N. Haskell, who was in Tulsa on the day of the election, ordered his secretary W.B. Anthony to have Oklahoma Secretary of State Bill Cross obtain the state seal and transport it to Oklahoma City, despite having been served a restraining order by Logan County Sheriff John Mahoney blocking the transfer. Anthony obtained written authorization from Cross, retrieved the seal from the Logan County courthouse, and delivered it to Oklahoma City. After the capital was transferred, Guthrie lost much of its government-related business and numerous residents. It began to dwindle in size and soon lost its status as Oklahoma's second-largest city, initially to Muskogee, then later to Tulsa. A challenge to the new state capital was heard in the Oklahoma Supreme Court; it upheld the election and move in its ruling on February 9, 1911, as did the United States Supreme Court in 1911. 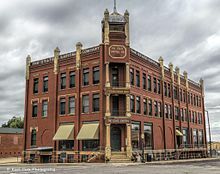 The center district of Guthrie was designated a National Historic Landmark by the National Park Service in 1999, in recognition of the city's importance to state history, as well as its rich architecture. As a result of Guthrie's early loss of prominence, it has a well-preserved Victorian enclave. Whereas growth and inattentive urban planning caused other Oklahoma towns such as Oklahoma City to destroy much of their early downtown architecture, much of the entire central business and residential district of Guthrie is intact. The National Finals Steer Roping Rodeo is held in Guthrie. On six occasions, the Texas rodeo promoter Dan Taylor was chute director for the competition in Guthrie. Historical tourism has become a significant industry for the town. 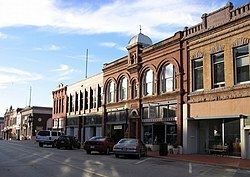 Guthrie is the largest urban Historic district in Oklahoma, containing 2,169 buildings, 1,400 acres (6 km2) and 400 city blocks. Guthrie is a "Certified City;" it has received a Community Development Block Grant to inventory infrastructure features for Capital Improvement Planning. Guthrie has two lakes to the south, Liberty Lake and Guthrie Lake. Its museums include the Oklahoma Territorial Museum, and the Guthrie Scottish Rite Masonic Temple. Guthrie also claims to be the "Bed and Breakfast capital of Oklahoma". The city hosts the Oklahoma International Bluegrass Festival, which draws 15,000 visitors annually. Guthrie has Oklahoma's oldest year-round professional theatre company, the Pollard Theatre Company. With an emphasis on creative story-telling to illuminate the shared human experience, the Pollard produces six or more plays and musicals annually, enlisting artists across the United States. The annual holiday favorite is A Territorial Christmas Carol. Guthrie is served by the Guthrie News-Leader newspaper. Guthrie lies along one of the primary corridors into Texas and Mexico, and is a four-hour drive from the Dallas-Fort Worth metropolitan area. The city is located in the Frontier Country region in the center of the state. It is about 32 miles (51 km) north of Oklahoma City. 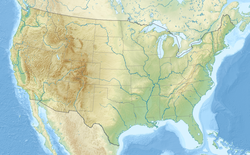 According to the United States Census Bureau, the city has a total area of 19.2 square miles (50 km2).48.4 km² (18.7 m Iti²) of it is land and 0.5 square miles (1.3 km2) of it is water. The total area is 2.81 percent water. Guthrie is in the Sandstone Hills region of Oklahoma, known for hills of 250 to 400 feet (120 m) and oak forests and an ecological region known as the Cross Timbers. Guthrie has a humid subtropical climate, with frequent variations in weather daily and seasonally, except during the consistently hot and humid summer months. Consistent winds, usually from the south or south-southeast during the summer, help temper the hotter weather. Consistent northerly winds during the winter can intensify cold periods. As of the census of 2000, there were 9,925 people, 3,854 households, and 2,474 families residing in the city. The population density was 531.6 people per square mile (205.3/km²). There were 4,308 housing units at an average density of 230.7 per square mile (89.1/km²). The racial makeup of the city was 75.84% White, 15.77% African American, 2.97% Native American, 0.42% Asian, 0.02% Pacific Islander, 1.94% from other races, and 3.03% from two or more races. Hispanic or Latino of any race were 3.79% of the population. In the city, the population was spread out with 24.7% under the age of 18, 11.5% from 18 to 24, 24.7% from 25 to 44, 21.4% from 45 to 64, and 17.7% who were 65 years of age or older. The median age was 37 years. For every 100 females, there were 86.3 males. For every 100 females age 18 and over, there were 79.9 males. The Warner Bros. 1996 movie Twister (1996) starring Bill Paxton and Helen Hunt used this town for the drive-in scene. In the original screenplay for this movie, it was going to be destroyed instead of Wakita. The Killer Inside Me (2010) was filmed in Guthrie starring Jessica Alba, Kate Hudson, and Casey Affleck. Jerry Hopper, film and television director, was born in Guthrie. Carrie Nation, prohibition advocate and publisher of The Hatchet. Horace Speed, first District Attorney for Oklahoma Territory; continued to live and practice law in Guthrie until 1913. ^ a b c d "Guthrie." Wilson, Linda D. Encyclopedia of Oklahoma History and Culture. Retrieved August 10, 2014. ^ Everett, Dianna. Encyclopedia of Oklahoma History and Culture. "Enabling Act (1906)." Retrieved January 10, 2012. ^ Franks, Kenny Arthur; Lambert, Paul F. (1997). Oklahoma: The Land and Its People. University of Oklahoma Press. p. 62. ISBN 978-0-8061-9944-3. ^ a b Dean, Michael (June 27, 2009). "Oklahoma State Capitol Moved to OKC Myths vs. Reality". Oklahoma Journeys. Oklahoma Historical Society. Retrieved February 7, 2012. ^ Mahoney, John. "Pioneer Logan County Sheriff Dies At Guthrie". ^ "Sheriff Attempts to Prevent Transfer of Capital". New York Tribune. June 13, 1910. ^ Mahoney, John. "State Seal Whisked Out of Guthrie". Tulsa World Centennial. ^ Coyle v. Smith , 113 P. 44 (Oklahoma Supreme Court 1911). ^ Coyle v. Smith , 221 U.S. 559 (1911). ^ "Dan Taylor: Former PRCA President dies at 87, November 16, 2010". Tri-State Livestock News. Retrieved August 4, 2011. ^ "Historical Weather for Guthrie, Oklahoma, United States". ^ "Census of Population and Housing". Census.gov. Retrieved June 4, 2017. ^ "New movie films in Guthrie". Guthrie News Leader. January 1, 2015. Retrieved July 26, 2018. ^ Davis, Sandi (August 25, 1999). "When Winds Come Sweeping Up the Plain Mock Drive-In Faces Brunt of Film "Twister"". The Oklahoman. Retrieved July 26, 2018. ^ "Scott Glenn: A Real American "Hero'". The Oklahoman. February 24, 1991. Retrieved July 26, 2018. ^ Grove, Martin (March 14, 2008). "Writer-producers' 'Fingerprints' easy to see March 25". hollywoodreporter.com. Retrieved July 26, 2018. ^ Triplett, Gene (May 8, 2009). "Film starring Jessica Alba, Kate Hudson begins filming in Guthrie May 18". The Oklahoman. Retrieved July 26, 2018. Wikimedia Commons has media related to Guthrie, Oklahoma. Wikisource has the text of the 1911 Encyclopædia Britannica article Guthrie.